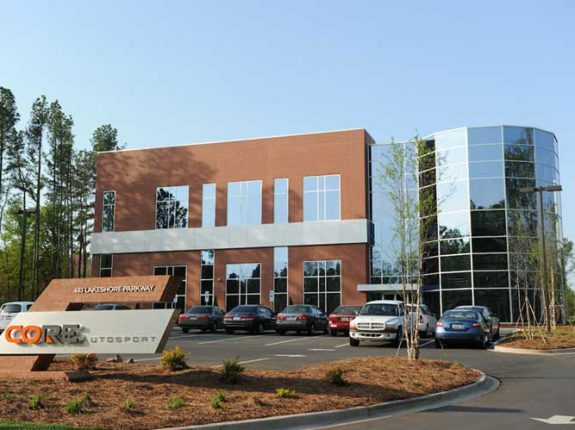 Located in Rock Hill, South Carolina, CORE autosport operates its numerous motorsport programs from a purpose-built, state-of-the-art facility. Since 2010, a focused investment plan aimed at bringing in the right people and giving them the right assets to do their job has yielded an enviable list of results. From its inception, CORE autosport has been driven by the belief that wins, in and of themselves, are not the only definition of success. After all, a team can do everything right, only to have a race win taken from them by a mishap caused by another competitor, or a failure of a component over which they have no control. What defines success at CORE autosport is the development and execution of processes and systems that put them in the best position to seize the victory. As a result of this philosophy, CORE has earned five-consecutive Prototype Challenge (PC) titles. This success caught the attention of Porsche, who chose CORE to run its two-car factory GT Le Mans (GTLM) program in the IMSA WeatherTech SportsCar Championship starting in 2014. The Porsche GT Team has won two manufacturer titles (2014 – 2015), two Tequila Patrón North America Endurance Cup titles (2014, 2017), a team championship and a driver title (2015) since partnering with CORE. Always in search of a new challenge, CORE expanded beyond road racing and into the Red Bull Global Rallycross series in 2016. It ran two entries in the GRC Lites division from 2016 – 2017. The team’s PC program transitioned to a GT Daytona outfit in 2016 with a Porsche 911 GT3 R. In 2018, it changed again, this time to IMSA’s top category: Prototype. CORE autosport’s WeatherTech SportsCar Championship team has a headquarters worthy of its past accomplishments and future successes, located just outside of the southern “home” of motorsports: Charlotte, NC. The five-time PC Champions and competition partners for Porsche GT Team are housed in a state-of-the-art 30,000 square-foot headquarters in Rock Hill, SC, opened in 2012 next to parent company Composite Resources. The building is three floors, with the bottom two custom-designed for the CORE autosport team. The shop area, which features expansive glass areas and natural light, allows the crew to build and refine the No. 54 ORECA 07 LM P2 and two factory-supported Porsche 911 RSRs. The third floor of the building is utilized by Composite Resources for production of the Combat Application Tourniquet® (C-A-T®). The C-A-T is a small and lightweight one-handed tourniquet that completely closes off arterial blood flow in an extremity. Since 2004, the C-A-T has been issued to over one million military personnel and has been responsible for saving many lives.